The family of Ernest Quintana is upset in the way Kaiser Permanente hospital in Fremont told him he was dying when a robot machine rolled into his room to deliver the news. Sergio Quintana reports. 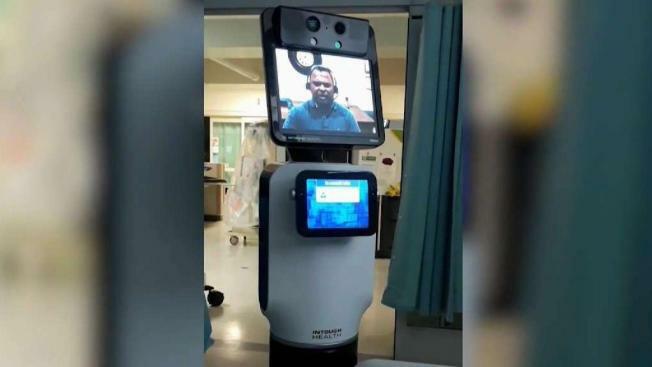 The hospital offered condolences to the family and said it would re-asses how the hospital uses new technology, but took issue with the way the device was described as a robot. "The use of the term 'robot' is inaccurate and inappropriate, this secure video technology is a live conversation with a physician," Kaiser said in a statement. Wilharm disagreed with the hospital statement and said she would call the device a robot. "They sent a statement to me saying that I should not be calling it a robot. I’m calling it a robot," Wilharm said. "A robot came right into my grandfather’s room and told him he was dying." Sergio Quintana contributed to this report.